Led power supply (to generate 12V DC from 230V AC): Mean Well LPV2012 (buy). Raspberry Pi power supply (to generate 5V DC from 12V DC): TracoPower TSR 1-2450 (buy or usb charger). 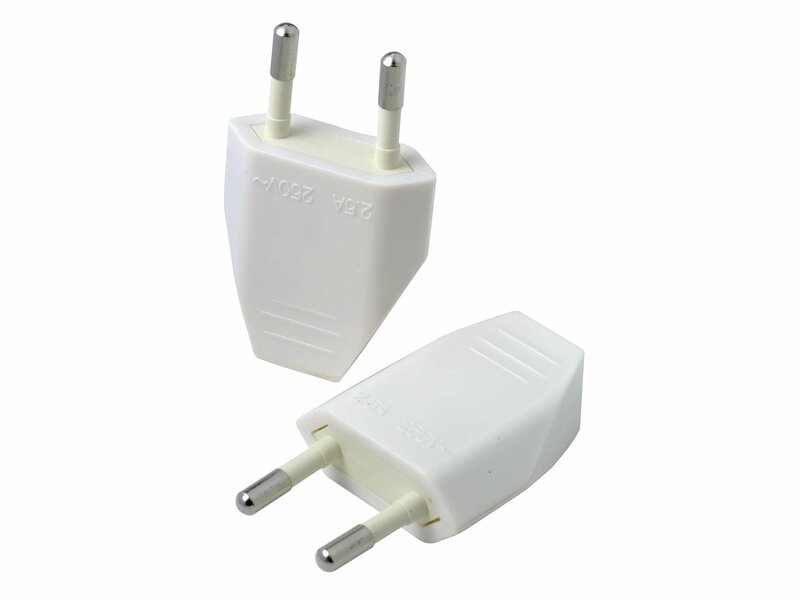 Esp8266 power supply (to generate 3.3V DC from 12V DC): TracoPower TSRN 1-2433SM (buy, else or usb charger). 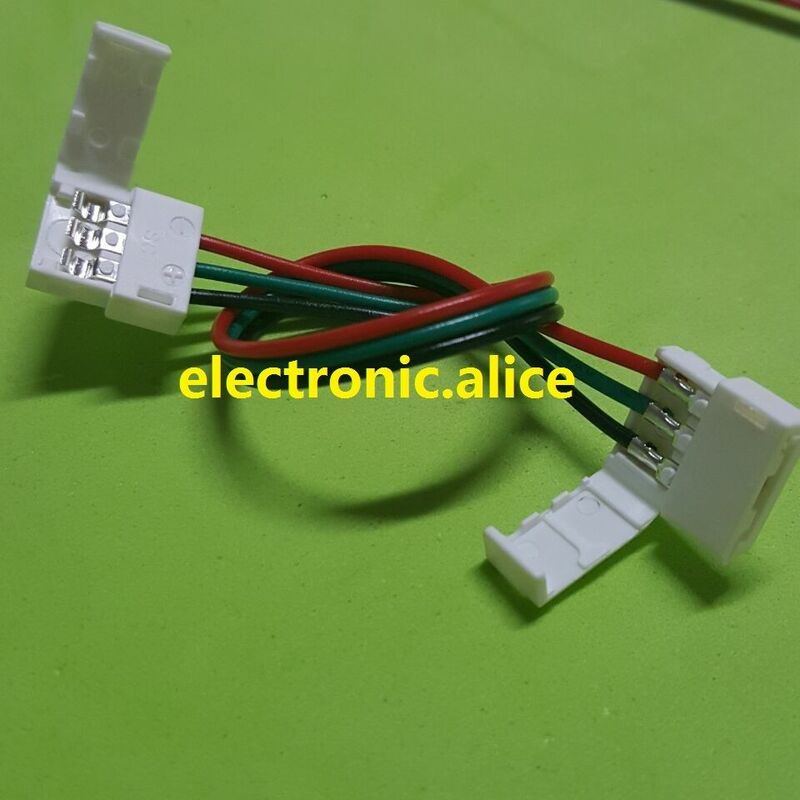 Addressable led strip, WS2811 12V 5050 (buy). Soldering iron or solderless led strip connector (like this). Plug to connect with an outlet (like this). 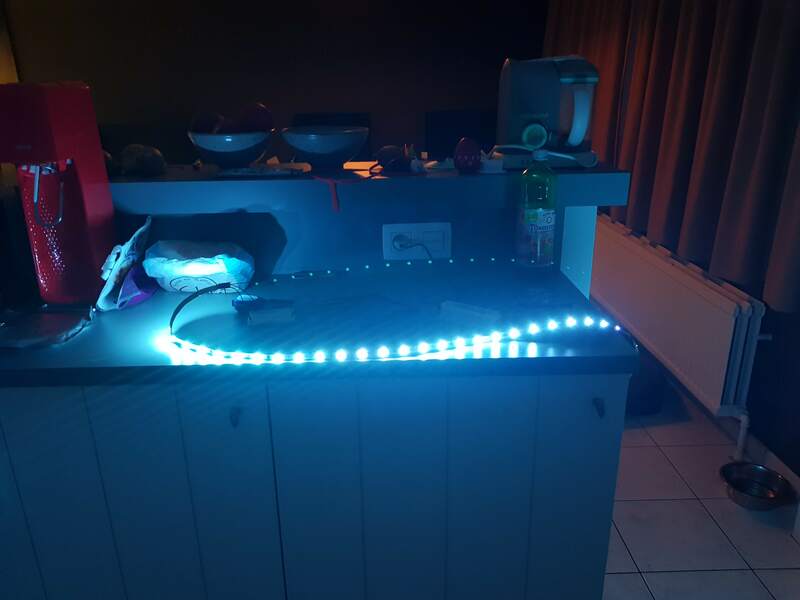 Depending on how long your led strip is you will need more w. Usually ledstrips contain either 30 or 60 leds per meter. The usage of 1 led should be rated in the tech sheet. This is of course maximum draw. When you want to power long led strips, you may have to power your ledstrip with 12V on multiple places as the current drops. Measure your V on multiple points. If it drops to much, I would also power it there. When leds don’t work as intended, this is probably the cause. A small note on the power supply; the ws2811 runs on 12v, unlike the ws2812 wich works on 5v. 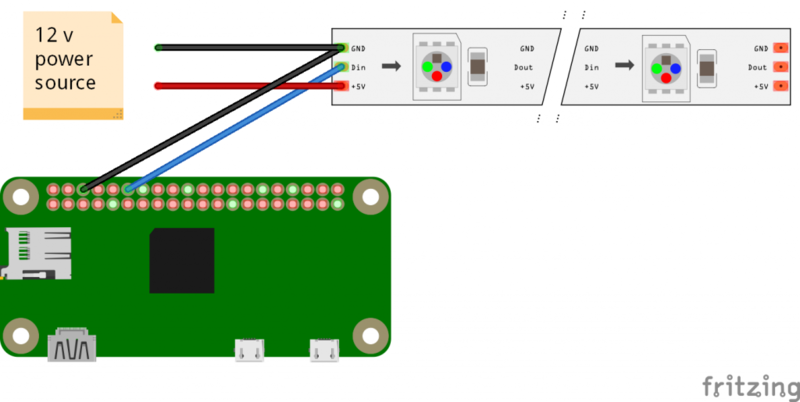 Let’s first try to make our great led strip with funky animations with a Raspberry Pi. Install Raspbian on your sd card, use Etcher! Boot up your raspberry pi. 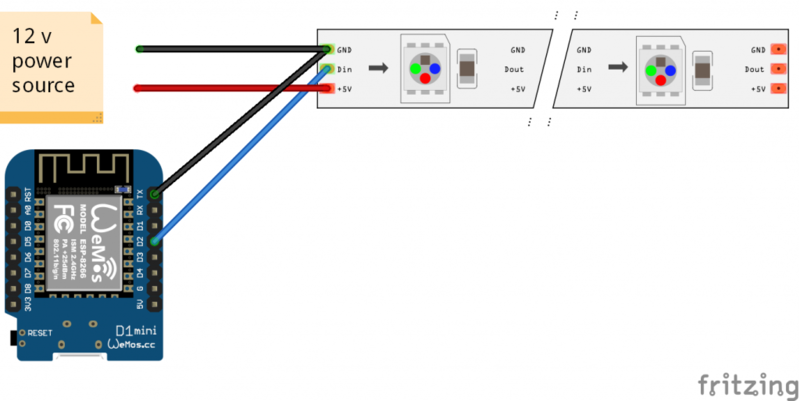 Enable ssh & wifi/ethernet for connectivity (so you can connect via an ssh terminal). Update if needed (sudo apt-get update / sudo apt-get upgrade). Change your users password! You can do all of this via sudo rasp-config. 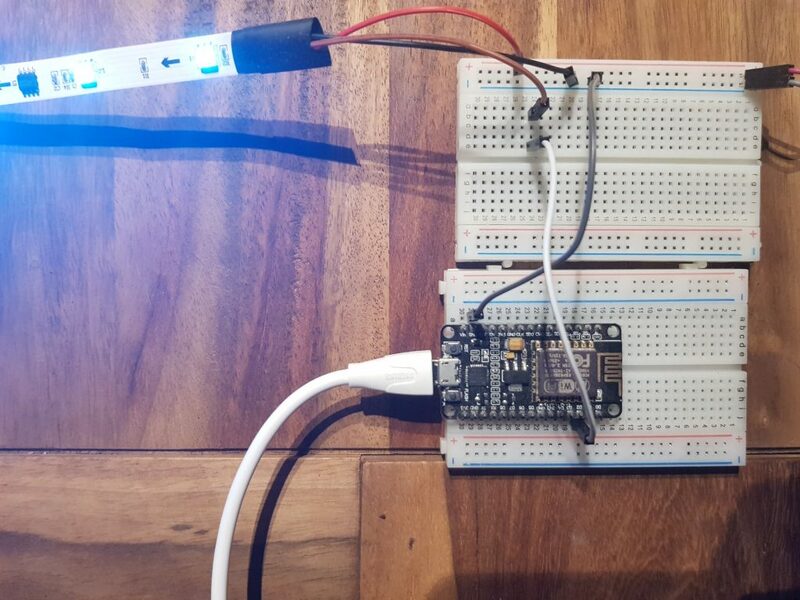 Let’s download this library that helps driving these led strips: WS281X. There are quite a few Esp8266 boards available. 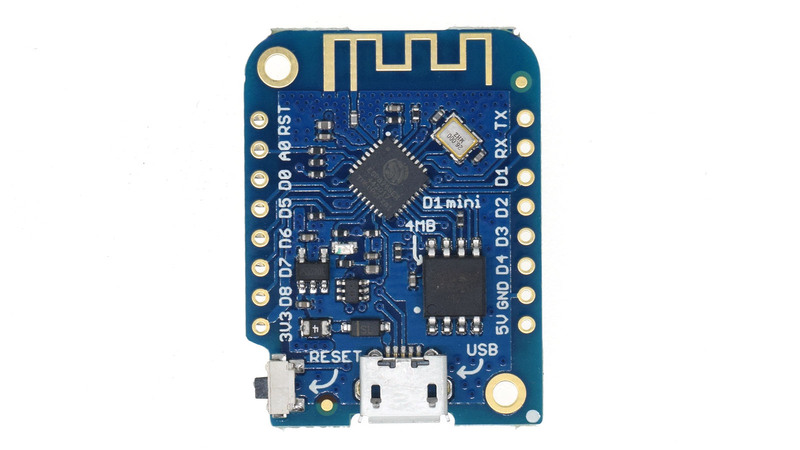 We are going to use a Wemos D1 mini as it’s simple to buy, small and in my opinion of good quality. Todo: Add screenshot of installed libs. Todo: Add all code here.